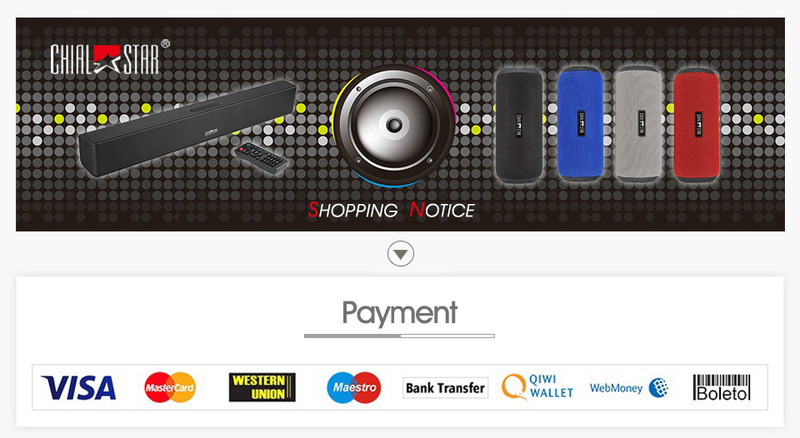 1, SUPERIOR SOUNDBAR SPEAKER: Built-in Subwoofer to make sure high-quality sound. Bluetooth 4.2 stereo music playing with 4*6W speakers and 2 passive radiators. 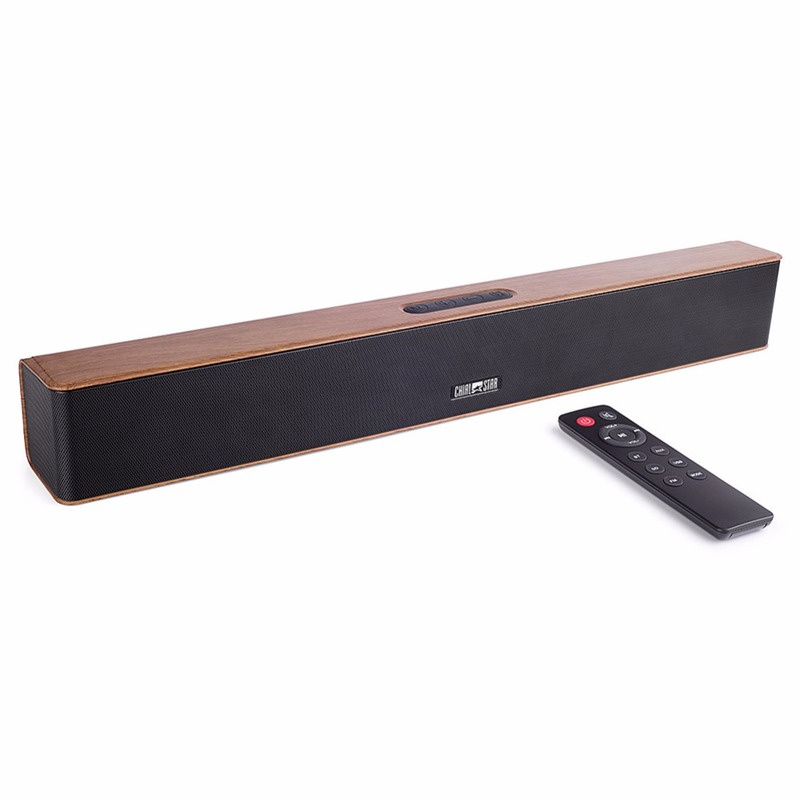 2, WIDE RANGE OF APPLICATIONS: sound bar compatible for Computer, laptop and PSP/MP3/MP4,Mobile Phone,for Iphone,iPad,micro SD card up to 32G. FM Radio and AUX In, etc.Support HQ,SQ MUSIC MP3/WMA/APE/FLAC, work as the external speaker by connecting to the audio source of computer, mobile etc. 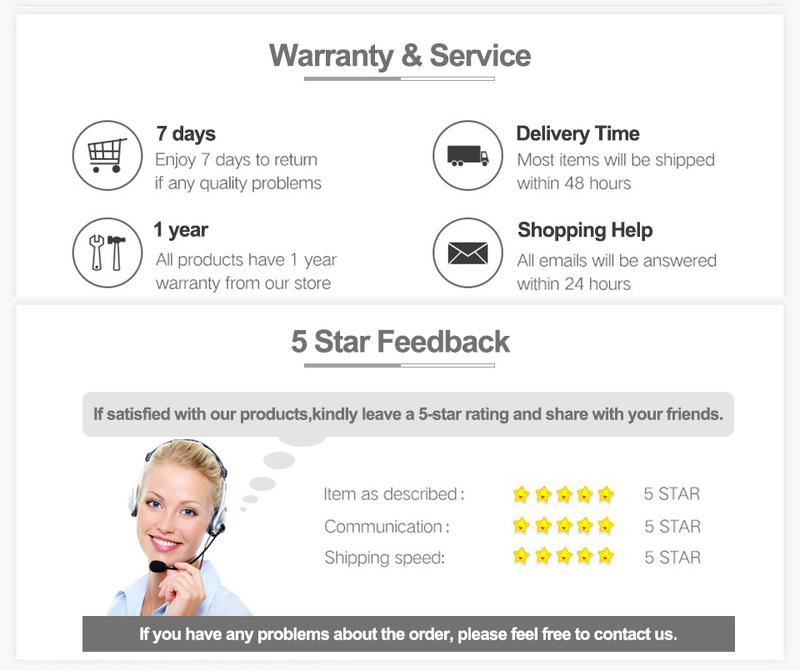 3, LONG PLAYING TIME: Built-in 7.4V 5000mAh rechargeable battery, after charging about 4 hours, you can play your device above 10 hours with normal musice. 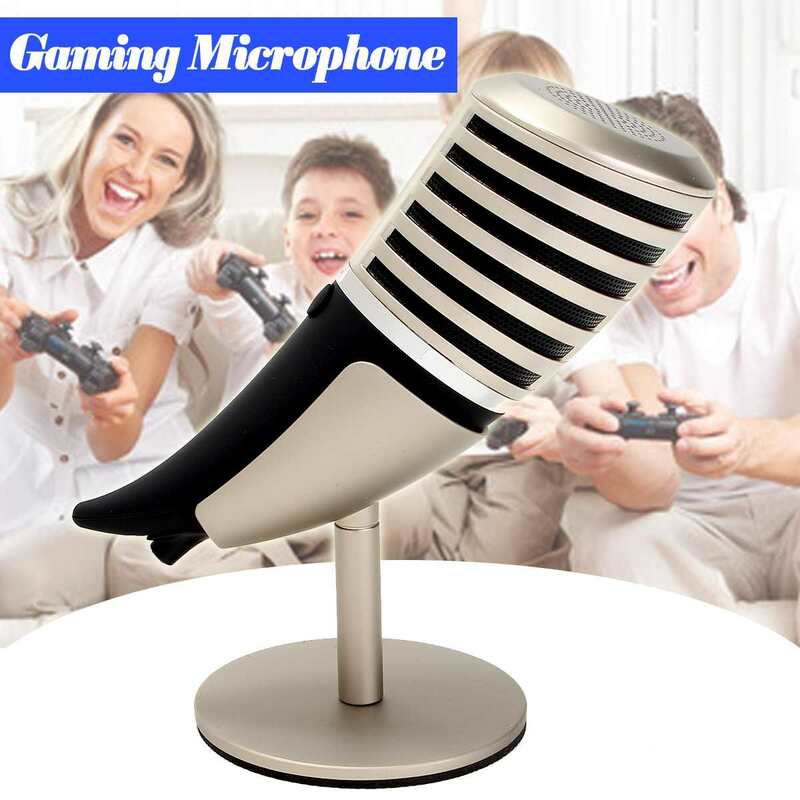 4, BUILT- IN MICROPHONE: This speaker has a unique design, combines superior sound quality with a sleek, slim size, also built-in microphone, can even use the speaker to answer the phone. 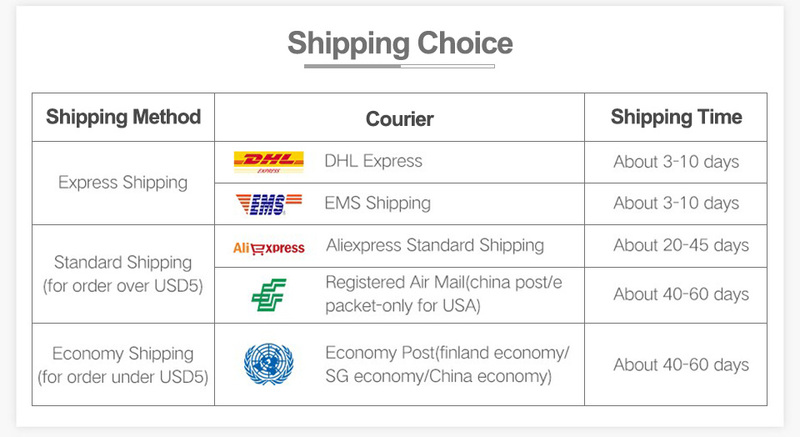 5,REMOTE CONTROL: The special design remote control can power on and off or Use to tune the different modes and functions. 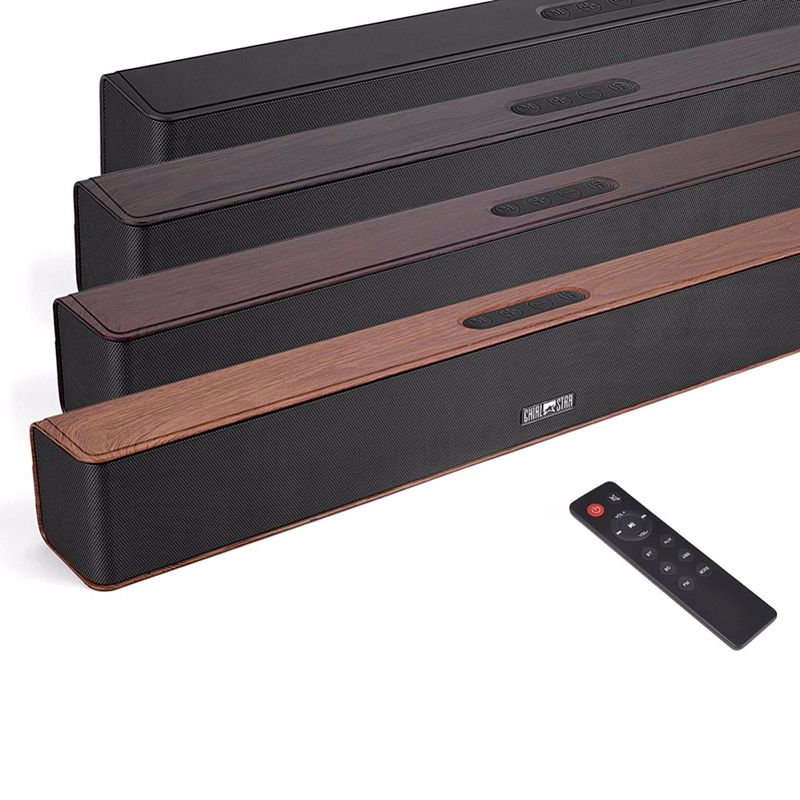 Our Patent design sound bar has a great bass with 4 pcs full range speakers,and 2 pcs passive radiators,still gives very good sound at a lower volume. 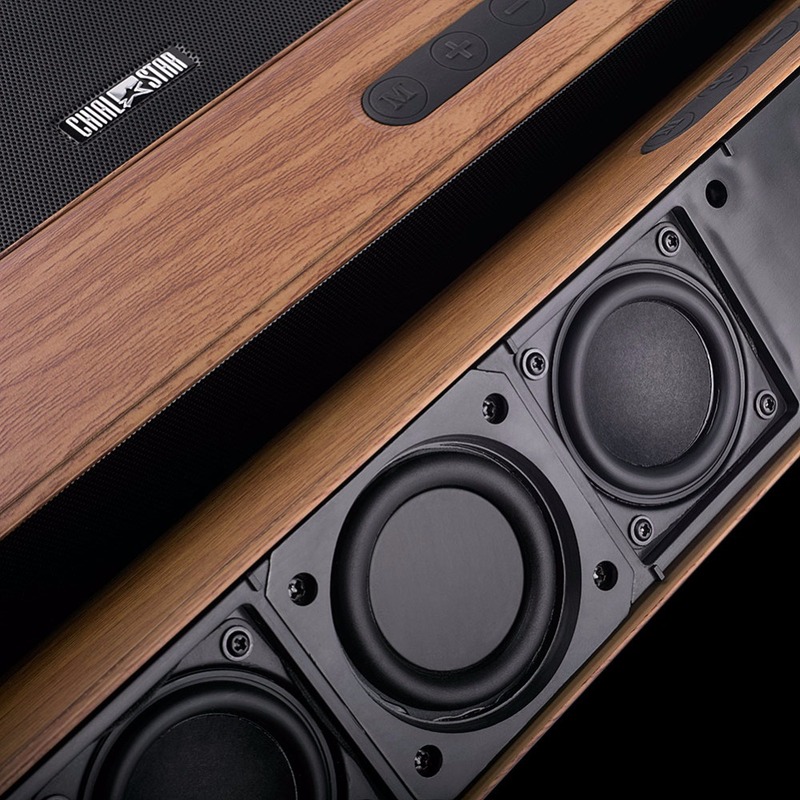 Using our 4.2 Version sound bar is easier to upgrading your home-entertainment system without disturb your neighbors, add a modern and exciting touch to any home, elevating your standard living room into a personal theatre system so you’ll never watch a film anywhere else. 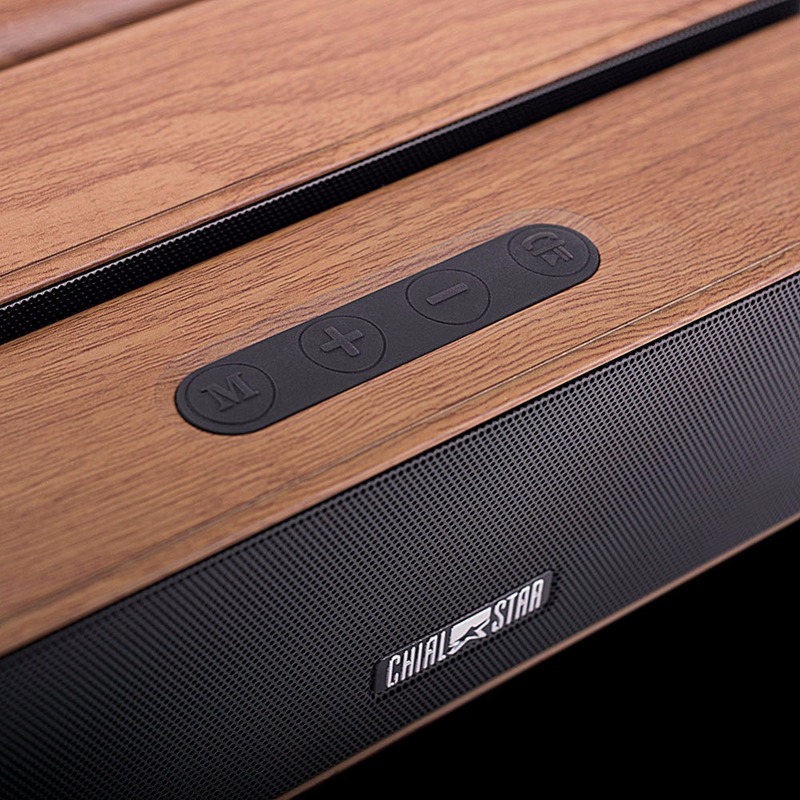 Speaker equipped with bluetooth technology. 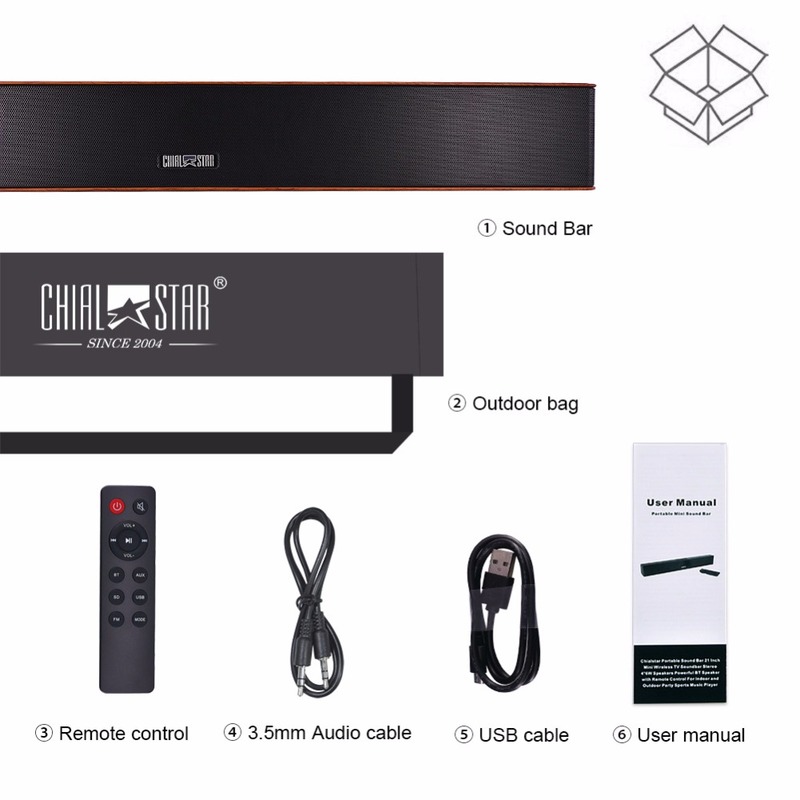 Chialstar Bluetooth sound bar provides seamless audio streaming, easy to pair with any of your bluetooth-enabled mobile phone, tablet, tablet, or computer. 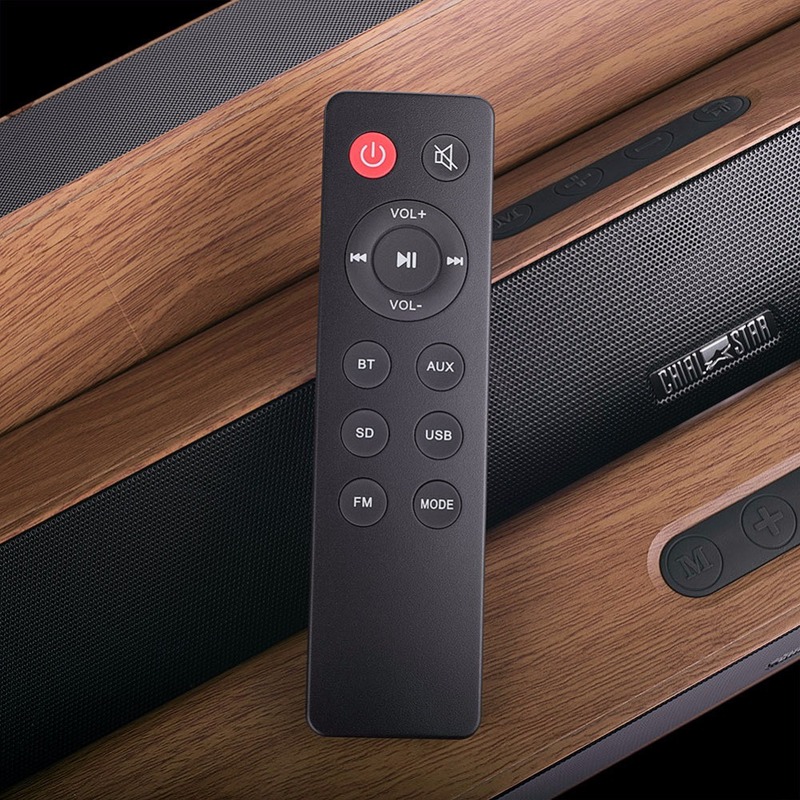 The sound bar not only elevates your TV experience, but also can be used to play stream music, broadcast, and more, makes your music with rich and full sound. Perfect for both indoor or outdoor activities. 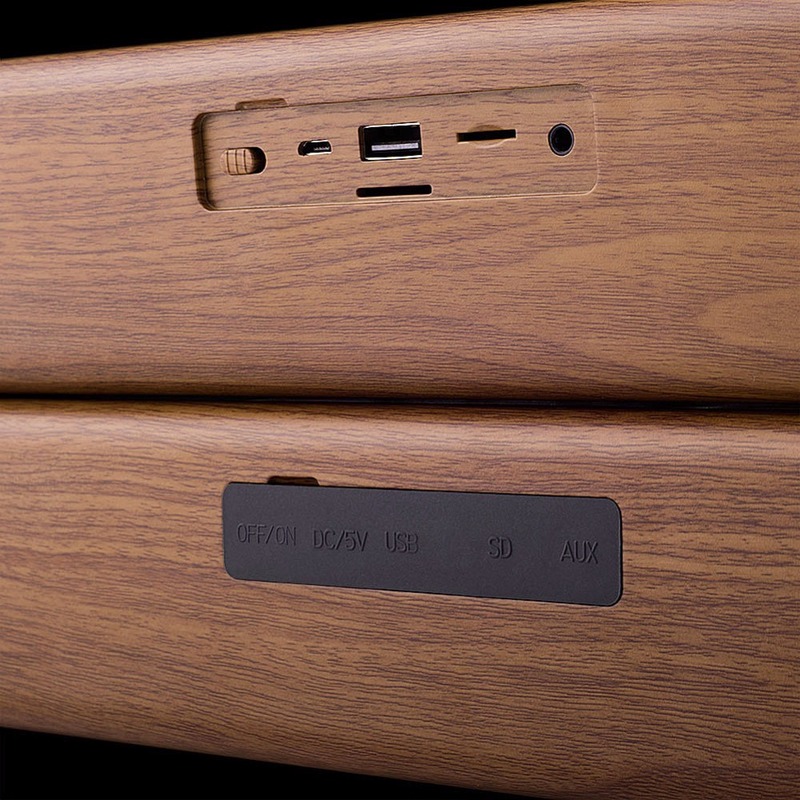 Model No: Q5 Wooden Grain! =====>>> (3) Short press 2 seconds to search FM channels.